The number one killer of both men and women in the United States is heart or cardiovascular disease. The number five cause of death is strokes, and the number seven cause of death is diabetes. For the majority of these three diseases, we have a controlling factor in preventing them just by including health and fitness. 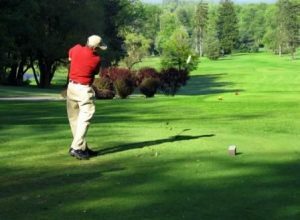 One great fitness activity to include is your golf game that one can play for a life time. The best approach in preventing three of the top 10- diseases is using the DELTA Concept to maintain our health and fitness. The term DELTA stands for Diet, Exercise, Lifestyle, Time, and Awareness. The only means to maintain your health and fitness in order to prevent the onset of these three ravaging diseases is to use the DELTA Concept. 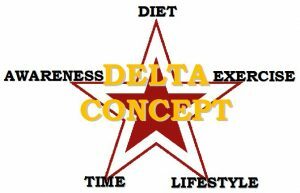 In the remaining of my article, I explain how you can effectively use the DELTA Concept to reach your health and fitness goals. The DELTA Concept not only prevents these three diseases, but reduces the effects of the number six disease, which is Alzheimer’s. Enjoying a full retirement. Why work for 35 to 45 years doing what you have to do and not be able to enjoy years of what you want to do? In my case, it is to enjoy my family and hobbies that include golf game, writing, and promoting my book. These are just two of the major benefits of a health and fitness program. D is for diet- Diet is just as important as exercise in maintaining your health and fitness. To some, diet is the major obstacle in reaching your goals. But that doesn’t have to be the case. I invested two years developing a diet program that I call the concept of the SR-925 Diet Program. You can select the link to read the details of this very successful diet program. Basically, the diet plan is based on when you eat and less on what you eat. The SR stands for Sugar/Starch Restriction in the food you select to eat between 9 a.m. and 5 p.m. All the information you need for making the proper Food Selections for the SR-925 Diet Program is right in the Nutrition Label on food containers, or your I-Phone APP. Most, if not all, restaurants have nutrition information for their menu items. My Results of the SR-925 Diet Program were amazing. In three months, I lost six-inches in my waistline. After just 9-months, I lost an additional two-and-a-half inches. I started my program in December of 2014 and by March of 2015, I lost six inches. The major factor of the SR-925 Diet Program is that I have maintained my 29-inch waistline now that I have managed to maintained. Before I started my SR-925 Diet Program, I had a 37.5- inch waistline. I reached my goal of 32- inch waistline in September of 2015. My goal of 32- inch waistline was what I had in high school. And the IMPORTANT part of this SR-925 Diet Program is that IT COSTS YOU NOTHING, except for the pounds you will lose. Just select on each link and follow the simple directions. All the information is there that you will need to lose weight or inches, and keep it off. E is for exercise that is the second critical component in your health and fitness. While exercise is a critical component, the diet component of the DELTA Concept is your biggest hitter. 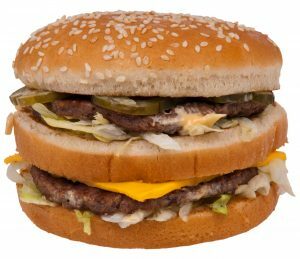 The reason is due to the fact that one Big Mac has 563 calories. That’s one workout session for some people. 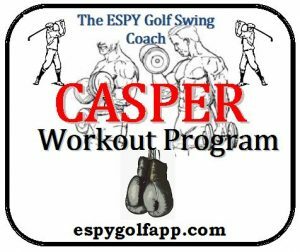 To address my exercise component, I set up a home gym over my garage where I follow the CASPER Workout Program. This is a golf trainer home gym that I use to maintain my power and speed for my golf game. 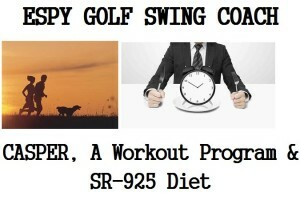 While this is tailored for my golf game, it is also great for a person’s general fitness. The CASPER link will explain what you will need to get started. Also, to give me a jump start for my CASPER workout, I start with my morning Joe. or my two cups of coffee. L is for Lifestyle- Like the quote says, “The body can’t go where the mind has not been.” To address the lifestyle component, you will need to address the mental issue in your life. This includes building your faith, meditating, reading, and taking time to enjoy something you like. In my case, it is reading, golfing, woodworking, baking, writing, and coaching. I use my coaching time to help others, or giving back what I had the pleasure of acquiring in my life to give to others to make their life better. T is the time component. The key to discipline in diet, exercise, and lifestyle is that you don’t think in terms of having time for these other three components. Instead, you have to think in terms of making time, or developing a schedule and checking off what you have accomplished each and every day. The major key in the time component is to make time for yourself. There is a very important philosophy that you need to apply to your daily schedule, In quietness and confidence shall be your strength. The main theme of time is to make time for yourself to exercise, relax, and enjoy something you love. A is for awareness, awareness of factors that directly or indirectly affect your life. Ignorance is not bliss, especially in science, arts, literature, history, and your health. Awareness is like knowledge, power for your life. And nowhere is awareness more essential than in athletics. One reason is because of the instant results of cause and effect. The golf game highlights the notion that One’s perception is reality. 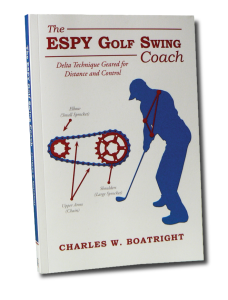 What you think you are doing in your golf game and swing, in actuality, you aren’t. This is why awareness is important. A great activity to combine the DELTA Concept is to play golf. I use The DELTA Technique to address presetting your golf swing, plus golf game addresses all five areas in the DELTA Concept, both on mental and physical conditioning. Especially, if you walk the course like I do, you can walk up to eight miles if you play 18-holes. And golf game might reduce your risk of developing Alzheimer’s.